Hi friends! Enjoy this high protein Moong sabut / Whole green gram/Mung beans, cooked with Lobiya / Black eyed beans . Wash the black-eyed beans and Moong sabut and keep aside. In a pressure cooker, put two table spoon oil in it, and heat, when heated put hing/ asafetida and wait till it turns light pink in colour. Add cumin seed/ geera, when it starts spluttering , put coriander powder, fry it for a few seconds. Add black-eyed beans and Moong sabut along with water, salt, ginger and turmeric, chili powder. Pressure cook for twenty-five minutes, on reduced heat and switch off the heat. Wait for it to cool. Heat the ghee in a pan, add the cinnamon stick and fry for few seconds, add the onions. Fry till the onion turns golden add , add the fenugreek seeds fry for few more seconds, add the tomato paste. Cool and grind this masala to a paste. Put paste in the pressure cooked black-eyed beans and Moong sabut mix, bring to a boil, and then simmer for about 10 minutes. The consistency of the dal can be adjusted by increasing or decreasing water. Add the, garam masala ,lime juice and mix well. Serve hot garnished with the coriander leaves with chapattis, paranthas and all rice preparations. Mung beans have the ability to regulate cholesterol levels because their antioxidants act like potent free-radical scavengers, reversing damage done to blood vessels and lowering inflammation. Mung beans are a great addition to any anti-inflammatory diet thanks to their ability to keep arteries clear and to improve circulation. Mung beans nutrition include the ability to fight another significant cardiovascular disease risk factor: high blood pressure. High levels of amino acids — oligosaccharides and polyphenols — in mung beans are thought to be the main contributors to their antioxidant power that can fight cancer development. Strong evidence exists that mung beans nutrition has a significant anti-diabetic effect and can naturally help prevent or treat cases of type 2 diabetes. 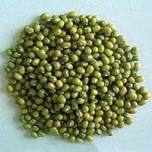 Mung beans nutrition includes a very impressive amount of protein for a plant, with about 20–24 percent of their chemical structure being amino acids (protein). Mung beans nutrition is also rich in other essential amino acids, including leucine, isoleucine and valine, which can be combined with other plant sources (like whole grains or some vegetables) to make a “complete protein.” Their highly absorbable protein content makes them a smart choice for vegans or vegetarians, especially considering how many other nutrients they add to someone’s diet. Mung beans nutrition contains a range of phytonutrients that are considered anti-microbial and anti-inflammatory, helping them to increase immunity and fight harmful bacteria, viruses, colds, rashes, irritations and more. Mung beans promote a healthy balance of bacteria within the digestive tract, which helps with nutrient absorption and immune defense.